Harnessing the power of creativity and community. Black Dot Creative Collective is a local business that preserves the integrity of this infamous intersection by providing support and opportunity for aspiring entrepreneurs of color. It’s located right next to Earls Cuts and Styles, a barber shop that has been around for over twenty years. 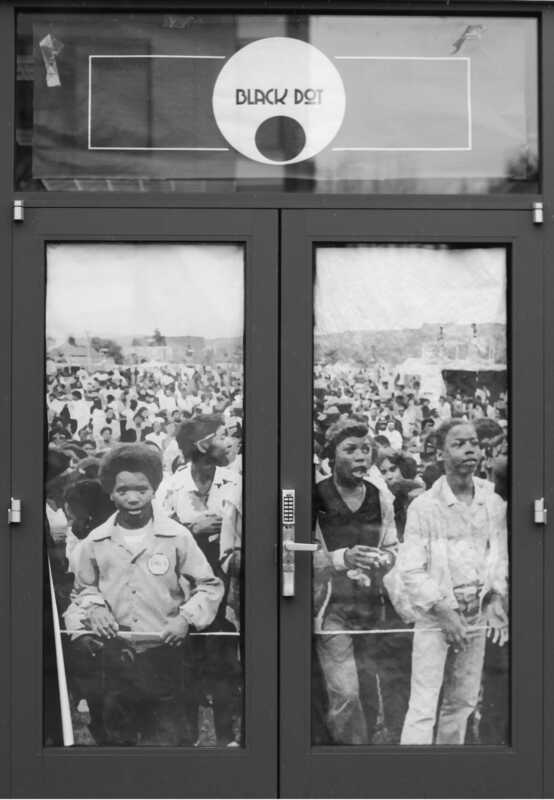 The first thing you see, even before you walk through the doors, are the words printed on the windows: Business, Future, Connect and Community. These are the things that K. Wyking Garret, graduate of the Garfield Class of 1995 and cofounder of Black Dot, has based the organization off of. “Black Dot is at the intersection of creative entrepreneurs and technology. 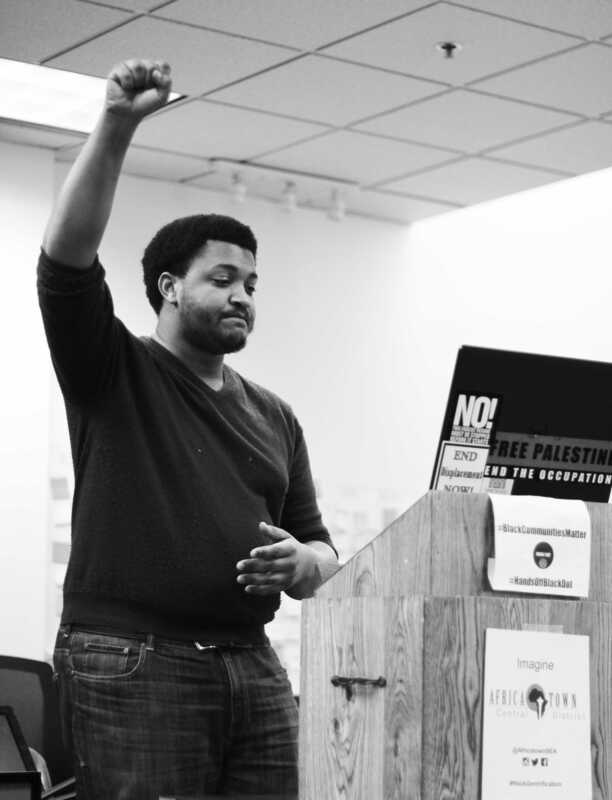 Technology in this time is about disruption, so we need to disrupt the status quo systems that have not been working for [people of color]” said Garret. Once you enter, Black Dot is an open space that resembles some sort of hybrid between a conference room and a welcoming living room, featuring tables and swivel chairs, as well as walls adorned with vibrant paintings and post its full of ideas. According to their mission statement, Black Dot is a “culturally responsive community for Black entrepreneurs”. Garret and others strive to provide resources, such as workshops and work space, and support for local black entrepreneurs, artists and more. “Black Dot has been nationally recognized for the work that it’s doing to create economic empowerment and mobility for a community that has been redlined, disenfranchised and systematically kept out of the economy” said Garret. Just this Monday, Black Dot held a rally to bring attention to the fact that the landlord is trying to evict them. The plot of land that Black Dot (and other beloved local businesses) are located on has been a source of dispute for a few years now. Disagreement within the family who owns the land about who should get to develop it has caused conflict, so far, without resolution. As housing prices go up and more new businesses try to find space in the Central District, Black Dot reminds us of the importance of supporting community organizations. “This situation where Black Dot is vulnerable and under attack and being pushed out by landlords highlights the crisis and vulnerability of many in our city. It just happens to be right here on 23rd and Union. We want to move forward and find solutions that makes Seattle a world class city, not just a one class city.” said Garret. Supporting locally owned businesses and businesses owned by people of color is becoming increasingly important as the Central District changes. Garfield soccer coach Kizamu Tsutakawa grew up in the Central District and is also actively working to help support entrepreneurs of color by making stickers that go on the windows of businesses owned by people of color. Tsutakawa and his friend Meron Menghistab are “trying to raise more awareness for businesses that are owned by people of color.” said Tsutukawa, “if you want to support those businesses and know where your money is going you should have the information you need”. Tsutakawa emphasizes the importance of “voting with your wallet” or, in other words, actively choosing to financially support businesses owned by minorities. Concrete actions like this are important ways to incite change but are also necessary to preserve the history of the Central District. 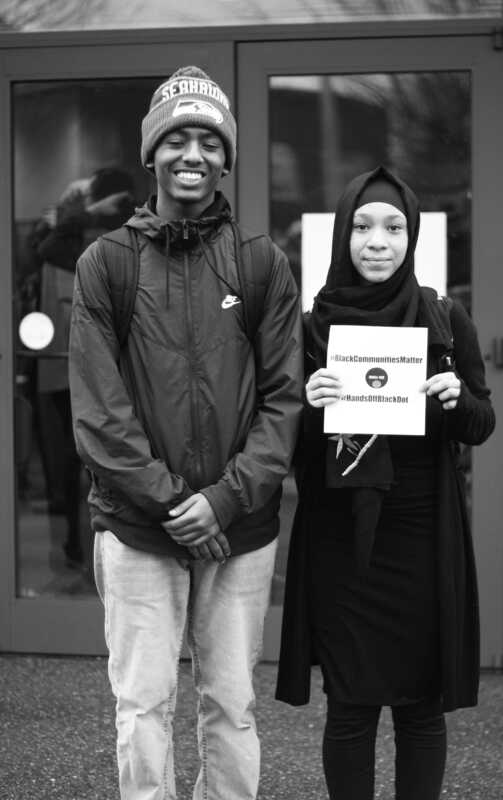 Both Garret’s and Tsutakawa’s actions add on to a long history of activism at Garfield which we, as students and a new generation, must continue. “There’s a saying,” Garret said, “they tried to bury us, but they didn’t know we were seeds. The Black Dot is a seed”.